Merry Christmas to all of you. Thanks for visiting my blog and for sharing your thoughts, ideas and accomplishments on yours. I learn so much on these sites and enjoy the time I spend reading here. Today was a busy day as the final preparations were completed for Christmas Eve at my in-laws and then Christnas day traveling to Florida to go to my parents. But we are ready! 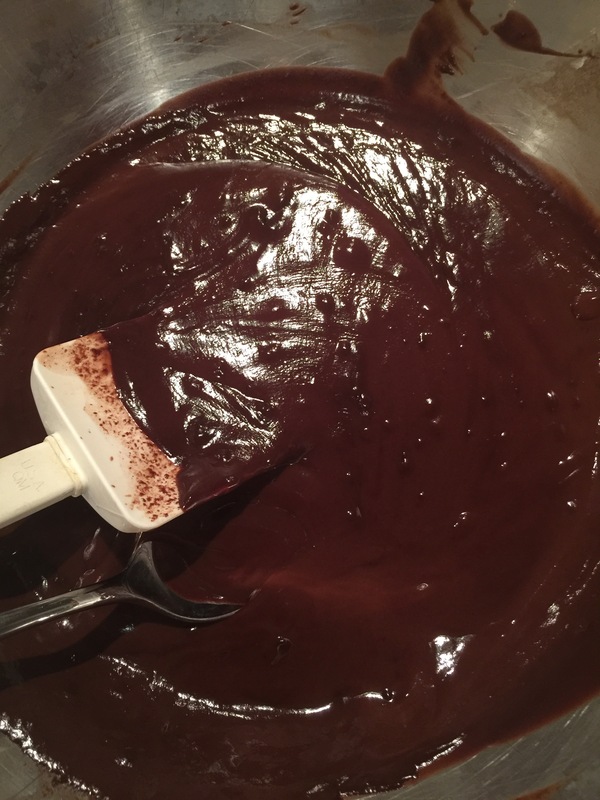 The presents are wrapped, the bag is nearly packed and the baking is done. This is a twice-iced chocolate cake with mocha filling and frosting and then a ganache layer of icing. 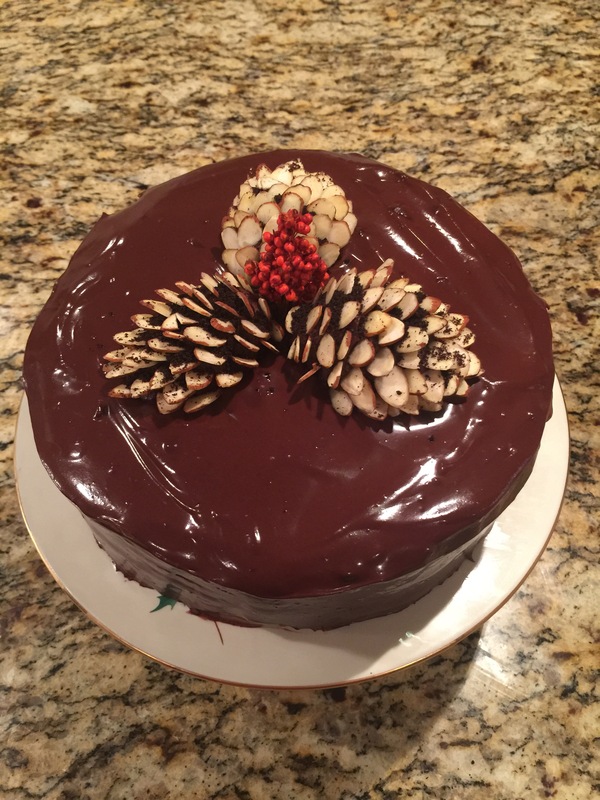 The pine cones are homemade chocolate truffles, almonds and cookie crumbs. Can’t wait to eat it later. It looks great on the beautiful Lenox holiday cake plate Jen got me for my birthday. 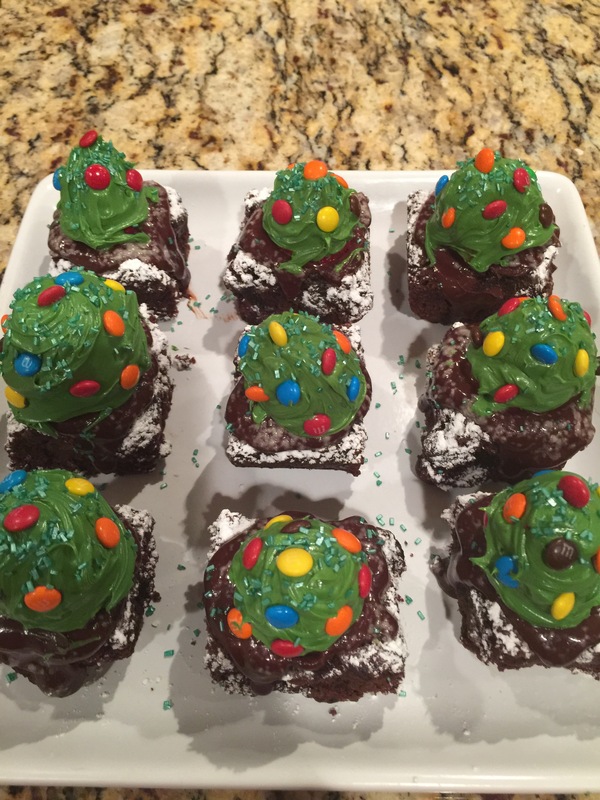 I also used the ganache on these less-than-successful Christmas trees. 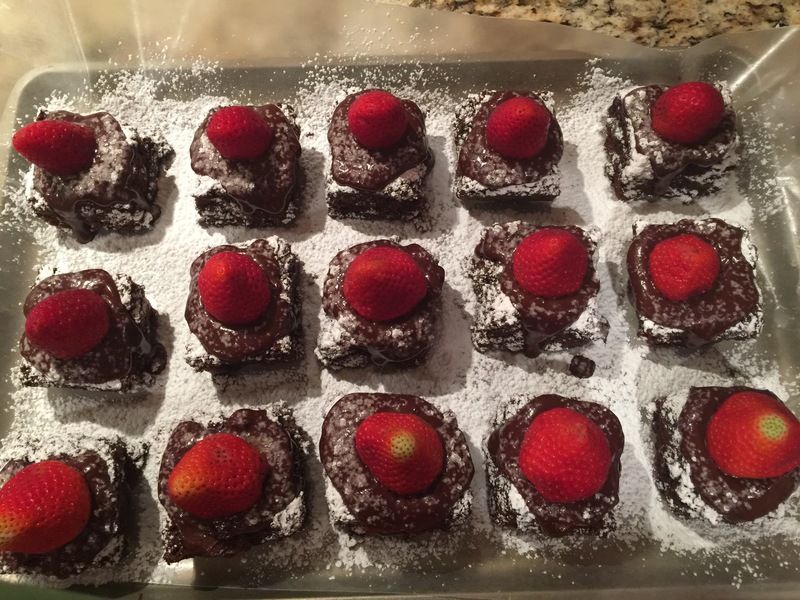 They are a brownie base with powdered sugar and then a strawberry. After the strawberry I iced them in green buttercream and used mini M&Ms to decorate them. They aren’t awful but next time I think I would dip the strawberry in white chocolate and use green sprinkles. Hope your day is filled with good friends and family, good food and good cheer!